The purse itself was not overly big, but was strangely flat- thus limiting what it could hold (think along the lines of an overgrown wallet). And then there was the handle/strap…which was too short to comfortably wear over the shoulder, and too long to hang from my hands. It reminded me of a saddlebag on a horse or bike. And that’s when I thought to myself, “This is the perfect purse to refashion as a hip bag”…also known as the fanny pack’s cooler cousin. My plan? To cut the leather strap…and turn it into two small, secured loops for a belt to slip through! The hands-free function of a fanny pack (aka, a hip bag) but in a smarter-looking (and interchangeable) package. This post contains affiliate links for your crafting convenience. First things first, I used my heavy-duty craft scissors to snip the strap at the top, creating two roughly-equal flaps. This is what it’ll look like from the front, purposefully using this turquoise belt to make it easier to see. Next, I trimmed the flaps shorter using my wide turquoise belt as a stand in for the widest belt I could imagine wearing. Once they were trimmed and of equal length, I punched a hole through each flap using my leather punch – approximately 1” in from the raw edge. Then, I marked and punched coordinating holes on the back of the actual bag portion of my small purse. These holes just go through the pack panel and fabric lining- so the front lining and leather panel remained intact. Sorry for not thinking of taking a better photo, but it’ll make sense in a moment. Now I just needed to secure my strap flaps to the back of the purse, thus creating permanent loops for slipping a belt through! Because I already have leather-working tools, I used simple/basic rapid rivets. They snap together with just your fingers, but then you secure them permanently with a rivet setter. However, you could just as easily punch two holes and sew the flaps to the back of the purse, securely knotting inside. And if you don’t have a leather punch or hand punch kit, you could use an awl…or even a small nail with a piece of scrap wood underneath…it’s definitely possible to create this project without any leather-working tools whatsoever! Anyway, when all was said and done, this is what I ended up with- it doesn’t even look that different, but instead of being a more traditional purse, it’s now a hands-free hip bag / anti theft purse! 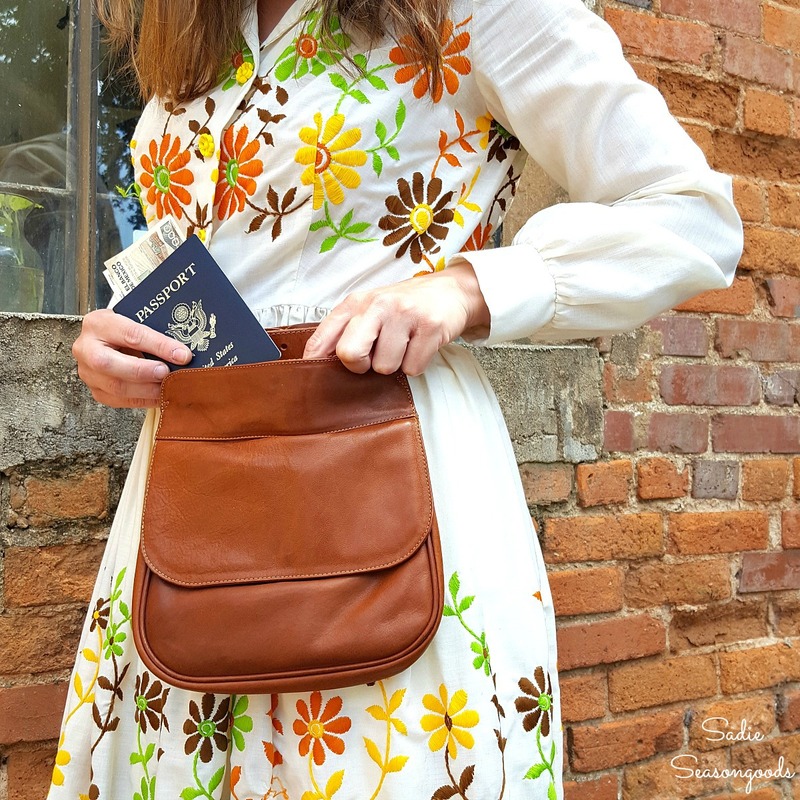 Whether you call it a hip bag, hip pouch, bum bag, or traveling purse, I think this is the perfect reuse for this kind of small purse…a hip bag that is, ironically, hip! Can you tell that my friend, Kate DiNatale Vintage, and I had fun with our little photo shoot? And, let’s face it – an anti theft purse is the best travel purse you can “carry” with you on trips, especially overseas. Using this hip bag would also be ideal for hands free shopping at flea markets and outdoor fairs, as well! 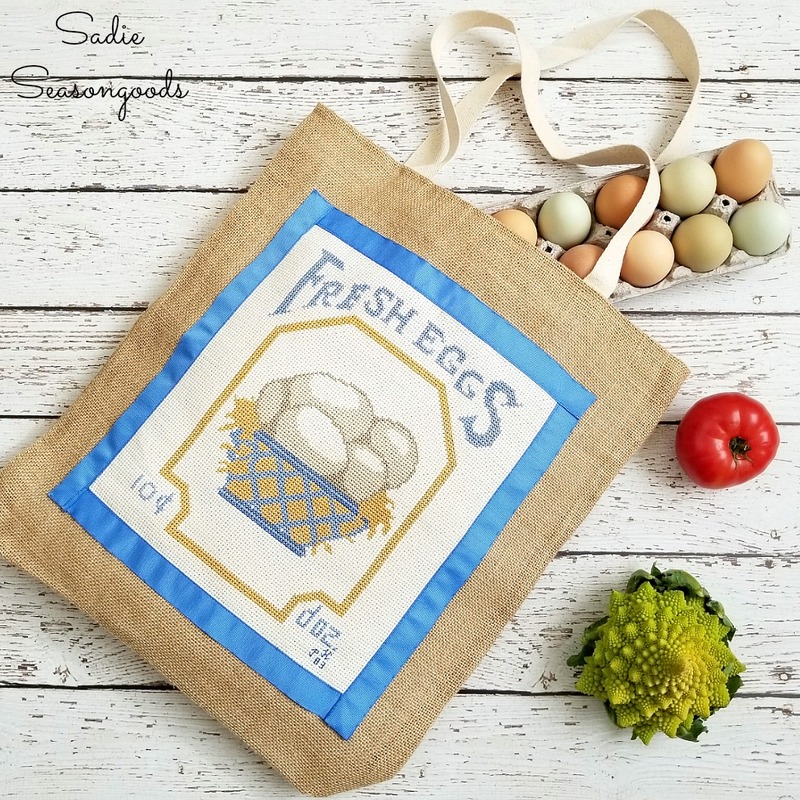 And if you’re interested in other upcycling ideas for refashioning purses from the thrift store, then you may enjoy this reusable grocery bag project of mine, as well! Wow, how creative and useful too! You’re right, it looks so much better than the alternative, which is what I still wear to yard sales…Guilty! I know they don’t look good, but it’s useful. Haha, I tell myself since I lost a bunch of weight that it doesn’t look as bad. The only thing is…I feel like my pants are falling off. I need one of these hip bags! Florence!! Girl, if you lost a bunch of weight then you DEFINITELY deserve to make a fun and fashionable hip bag! 😉 You need one so you can wear a belt, hahaha! Great idea; it’s neutral enough for a guy to use, too! Would be great for carrying just what you need when yard saling/flea marketing this summer! I so could have used one of these Hip hip bags last weekend during Celtic Days. By the end of the day I was ready to throw my satchel across the park from it constantly falling off my shoulders. Very clever idea! Ohhhh, this would be PERFECT for a Renn Faire festival…especially if you found a more weathered/worn leather purse. Thank you so much!! This is such a great idea!! I love it. I love this project..it really has a fun, modern look! That is a most beautiful dress you have on in the pic of your purse you made. Did you make the dress. And your purse is wonderful also. Keep up the good work. Thanks, Elizabeth! One of my dearest friends owns a vintage clothing shop and I selected this one for her to wear during the photo shoot. I love it, too! Very clever, and functional also ! Very cool idea Sarah! I can definitely see wearing something like this. It is so much nicer than those fanny packs. You’ve not only created something classy, useful and trendy you’ve probably set off a whole new style! I love it and I would definitely wear it before I would don a fanny pack (being 62 years old and wearing a fanny pack is TOO consistent with all the jokes about them :)) I will keep my eyes open in Thrift shops for just a bag. I’ve seen many lovely leather ones that are just as you say – a funny shape or size with the wrong length of strap. Thank you for the inspiration! I love this comment!! 🙂 Thank you so very much! Brilliant remake of a useful item! This is a wonderful creation, and so many people could use one of these. Love it! What a chic alternative to the fp 😉 Thanks for sharing @Vintage Charm! Fiona on “Burn Notice” wore one a lot. Cute! Looks like a Fossil bag? Oh, cool- I had no idea! It wasn’t a Fossil bag- in fact, there were no markings/labels expect for a leather-stamped grizzly bear head under the flap. Thanks, Gina! It’s not my dress- my friend, Kate DiNatale Vintage, modeled a dress from her shop for the photo shoot! And it sold shortly after my post went live, haha! Even I can do this!! I have way too many handbags sitting around waiting for Good Will. Maybe I can reprpose and garage sale them. Thanks! Yes, you definitely can do this, Marilyn!! Look how practical you are! What a handy hands free bag to keep handy! Thanks so much for sharing at Celebrate Your Story! So clever and chic too. So much better than the fanny pack! Thank you for sharing at Snickerdoodle. This is such a fabulous idea! I usually use a cross-body bag but this would be a lot more convenient. Thanks for sharing your tutorial with us at Merry Monday this week! You are one clever chicka! 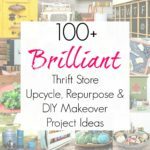 We would have so much fun thrifting and upcycling together I think. Ha, I love the term “bum bag”!!! Thank you so very much! Perfect! Thanks so much, Phyllis. I’m so impressed with the simplicity of this tutorial! It looks so great and is going to be perfect for the farmer’s market I was planning on getting to tomorrow morning. 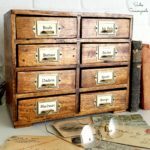 I just stumbled on your site from AllFreeSewing and I am hooked! 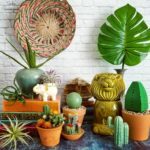 I run a little DIY fashion blog too! I’m so excited to “meet” you! Thank you so much, Lisa- and likewise!